Our students of four degree have prepared a project. It is called Interactive Wall. With it they tell the story of Tarzan interactively. 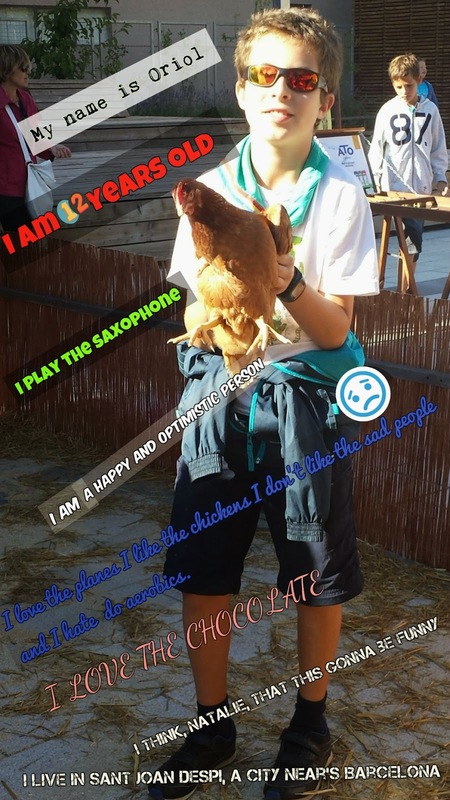 You know that you can come to visit our project this week but if you can not come here is a presentation that we have prepared to tell to the school how we did it. Also a TV programme come to make a recording of our projects! They are very excited! Olivia, our last linguistic volunteer. She has been in some of our classes helping our students! Now we can know more about she. 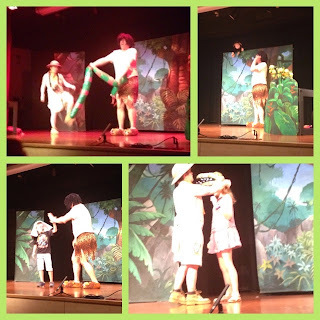 Today we have gone to the theater and we have seen the story of Tarzan. We have spent a great time together! 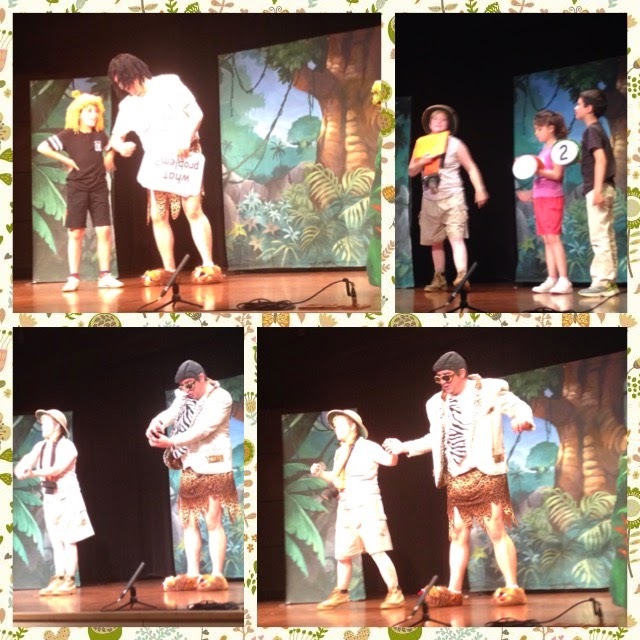 It was very funny! They laughed a lot! This is the first skype of our students with a british girl. They are speaking with Natalie, June's friend. She needs information about Barcelona because her students want to spend their holidays here. Now our 6 graders are making questions about their to then prepare a leaflet with amazing activities. This month the 6th graders are working with June, who is doing her teaching internship in our school. They started a project called 'Let's become travel agents!'. They are helping Natalie, a travel agent in London, to plan actitivies for a group of 6th grade students that is coming to Barcelona next July. 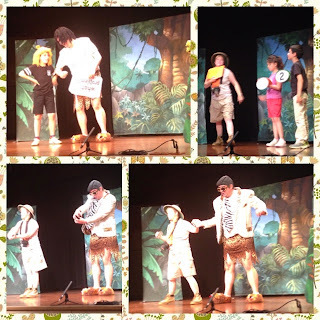 Last week 5th and 6th graders went to the theatre to watch 'Robin Hood'. 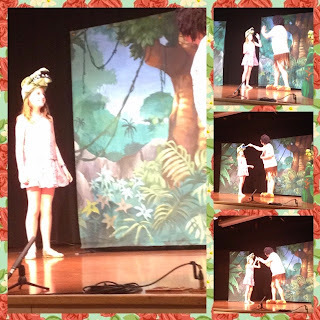 It was lots of fun and some students were invited on stage! Adrià was a wonderful target!!! Last Friday, 30th January, we celebrated Peace Day with 4th graders. We had a little discussion about the importance of having some time to reflect on the things we can improve to solve daily problems and arguments. Welcome to our ‘Explore and Enjoy’ blog! This is a Pile project which aims to improve oral skills in first cycle students through extra-curricular and complementary activities. Nevertheless, thanks to the project we have been able to plan a variety of activities to do with students of all grades. In this blog we will share with you all the activities we do during the project. We encourage all visitors to give us feedback and share their comments with us. As you surf in the blog don’t forget to…’Explore and Enjoy’!